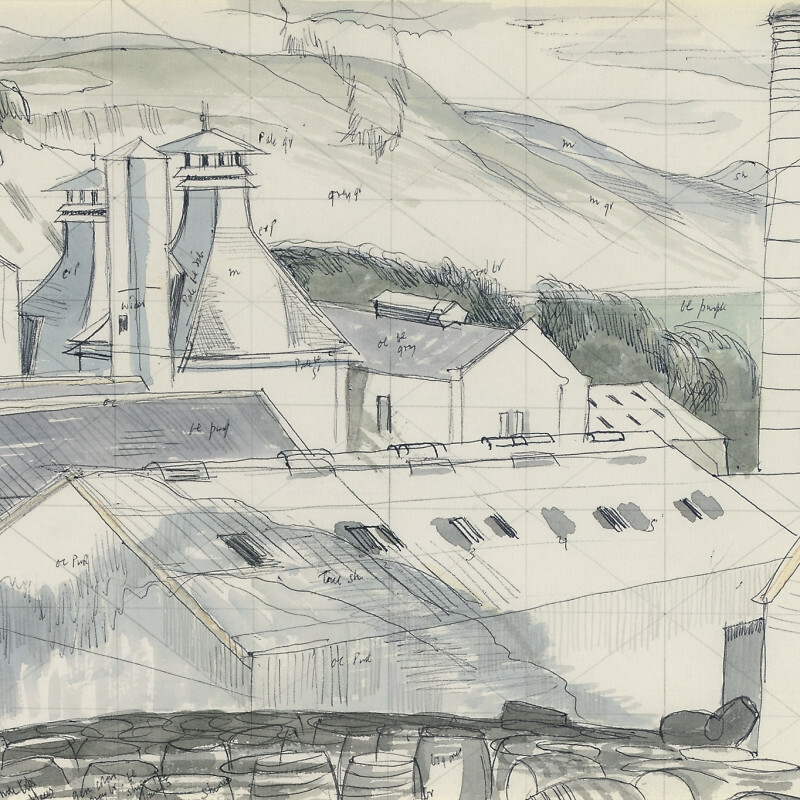 John Nash's work is both natural and individual, and he avoided formal training on the advice of his mentor and older brother Paul Nash, who enouraged him to paint professionally. Partly as a result of his brother's great success, John Nash has been underexposed. His professional credentials were established early, however: he was an official war artist in both World Wars, and he taught at the Oxford Ruskin School of Art and later at the Royal College of Art. His paintings are in many major public collections, including the Imperial War Museum and the National Portrait Gallery. Nash was passionate about landscape, and an appreciation of nature was at the centre of his practice. He lived in Buckinghamshire, and later on the Suffolk-Essex border, and he travelled all over Britain with his wife, who found places for him to paint. Nash was also fascinated by botany and made many illustrations. His watercolours demonstrate a spontaneous and intuitive response to landscape, something that is sometimes lost in the studio oil paintings. These studies are nevertheless well observed and calculated, often with annotations, reminiscent of the work of Edward Lear. Despite this systematic approach there is a naive quality to his landscapes, embodying a style that is both modern and distinctly English.